UPDATE: This pup has found a home. Thanks! I just want to let everyone know that we have one solid sable male still available from the Paige litter. He will be ready to go home August 5th or after, which is next week. There are new videos of just the solid sable mLes on the Facebook page, and it’s the larger male that is still available. He is a delightful puppy as you’ll see in the videos. Please send an email to silverpawcavachons@gmail.com if you’d like more info. This is a snap from the videos. 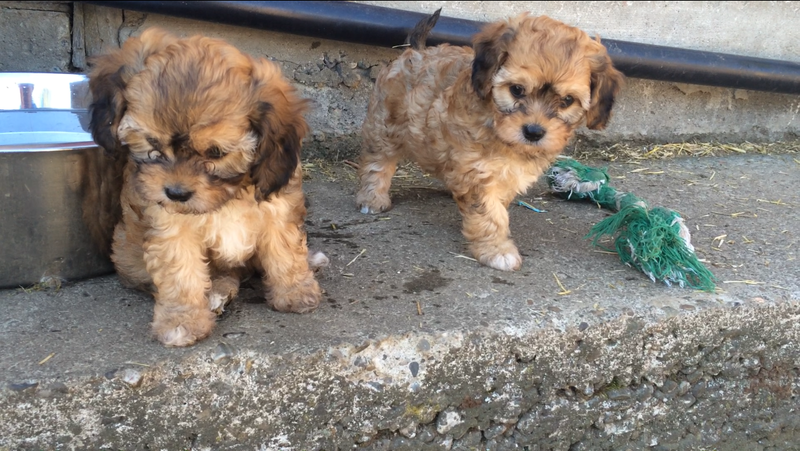 The pup on the right is still available. Yes, he is still available!